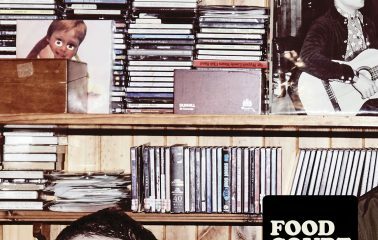 With Food Court’s long-awaited debut long-player Good Luck, this band of brothers reverted to the way things used to be done; laying down 11 killer cuts in less than a week – all recorded live and under the masterful ear of producer John Castle. It seemed fitting that Good Luck would be the final album ever recorded in the legendary Shed Studios – where Castle worked his magic on records from the likes of You Am I, Vance Joy, The Bamboos and more recently Jack River. Glorious 2 and a half minute slices of rock and roll such as ‘Not My Way’ and ‘Slightest Brightest’ sit comfortably amongst some of Castle’s best work – all inner-city attitude and sharp guitars. 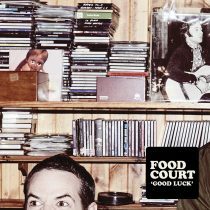 While the album was recorded in a week, Food Court worked on the songs over the past year and the result is a classic debut – a scrapbook of stories of lost loves, lost sleep, mistakes, anxious minds and a light drizzling of optimism on top. The album is powered through melody-driven garage punk and performance chops which were finely tuned earlier this year on their inaugural SxSW appearance and touring through the US and Canada. The band will be releasing a new single ‘I’ve Been Wrong’ and announcing a national tour to celebrate the release – but all in good time. For now, with the release of Good Luck we can finally add a new name to the list of Australia’s finest exponents of garage rock.